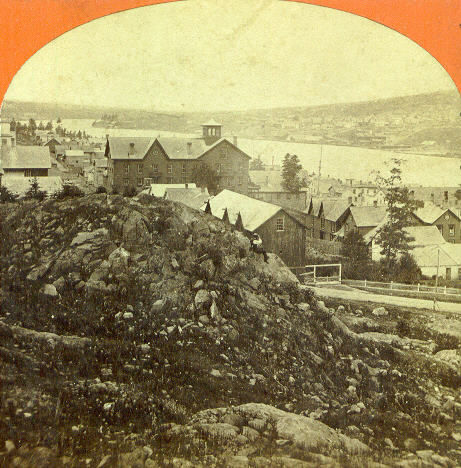 Fortunately, the Copper Country was somewhat accessible to early photographers, especially during the warmer months. Hauling box loads of picture-making equipment back then must have been difficult at best. 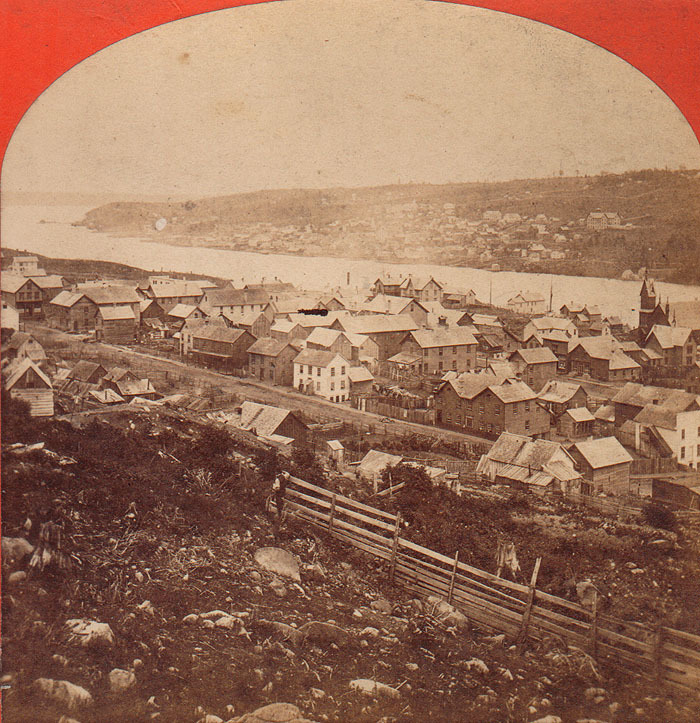 Prior to about 1880, the stereoview was a popular form of making and viewing photographic images, and many were made of the Upper Peninsula, including the Copper Country. Artists such as B.F. Childs, A.G. Emery, Brubaker & Whitesides of Marquette and Crater & Bill of Chicago traveled throughout the U.P. taking pictures of the scenery and the industry. These are some of the earliest images of the area, probably dating from the mid-1870s through the late 1880s. Images from the large Underwood Company date well into the 19-teens. Here are some better Copper Country images for your enjoyment. 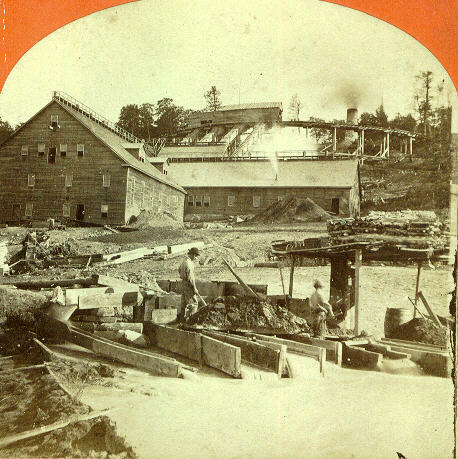 Early Atlantic Mining Company Stamp Mill. Interior of a stamp mill, mining company not identified, though I'm sure they all looked rather similar. 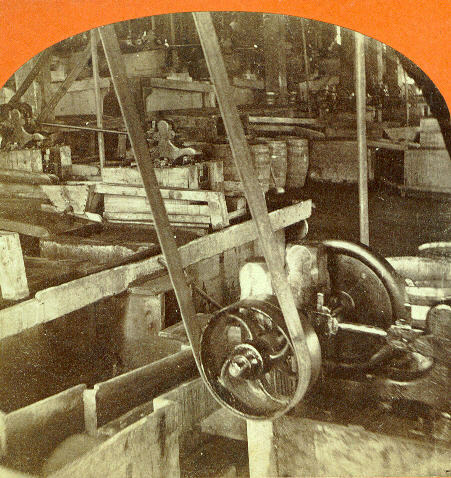 Note the original bridge, and the barrels most likely full of copper ready for shipment. Another early look at Houghton. Note the man sitting on the rocks, center of photo. 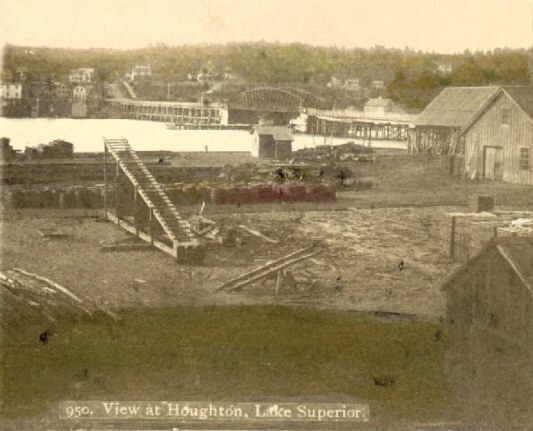 This is another image from B.F. Childs, this time showing Houghton as seen from Hancock (foreground). Again, note the man at center. 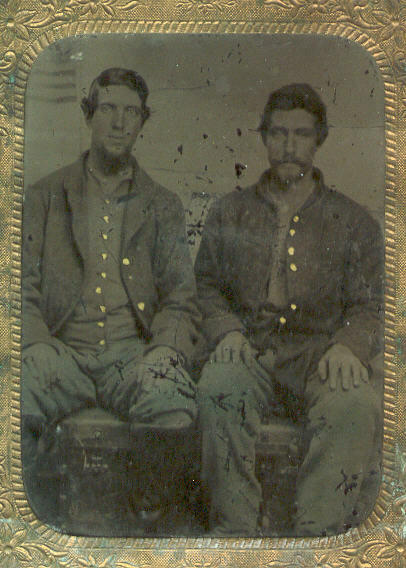 This is a tintype image, probably from the late 1860s or early 70s of two Calumet men, perhaps miners or laborers for C&H. They are identified as John McNail and James Tolera. 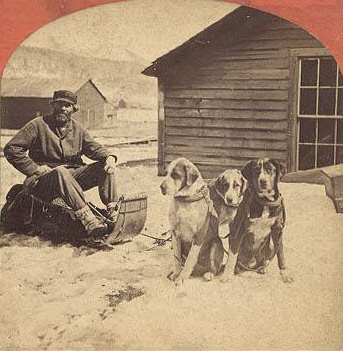 Probably one of the best early photos of the Copper Country, taken by B.F. Childs, showing a mail sled in winter. By the scenery in the background, I believe this was taken in Houghton, with Hancock/Ripley on the far side.